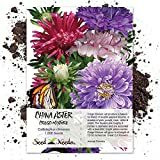 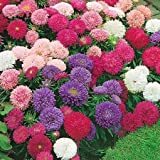 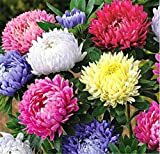 China aster growing herbaceous of the genus Callistephus also known as Callistephus chinensis, China aster annual or biennial plant, used as ornamental cut flower plant, can grow in subtropical, mediterranean, desert or temperate climate and growing in hardiness zone 2+. 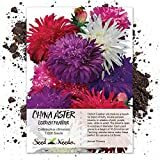 Leaves color green in spoon shape with lobed to serrated margin. 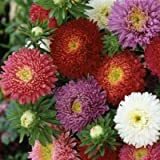 Flower color purple, pink, yellow, white, red, bordeaux or mix in daisy shape to multi-petals.